In previous weeks, we’ve run down plenty of number about special teams’ struggles and how urgently the Trojans need to see improvement here. Once thing that hasn’t been discussed, though, was the sheer inefficiency of resources spent on securing special teamers. College football circa 2019 mandates at least some scholarship expenditures in this department: The days of Pete Carroll unearthing walk-on gems and letting them pay their own way for multiple years are long gone. The best special teamers are recruited out of high school like every other position, which makes it incumbent on special teams coach John Baxter to nail his evaluations at kicker, punter and long snapper. Special teams coach John Baxter. He often hasn’t – not just now, but back to his first tenure. 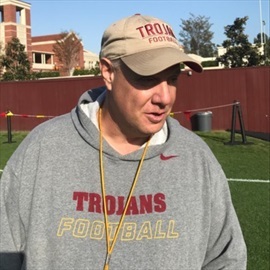 More often than not, USC carries overlapping scholarships at at least one of the three special teams spots due to a recurring trend of scholarship players getting beaten out by walk-ons, who are then scholarshipped to reflect their starter status. 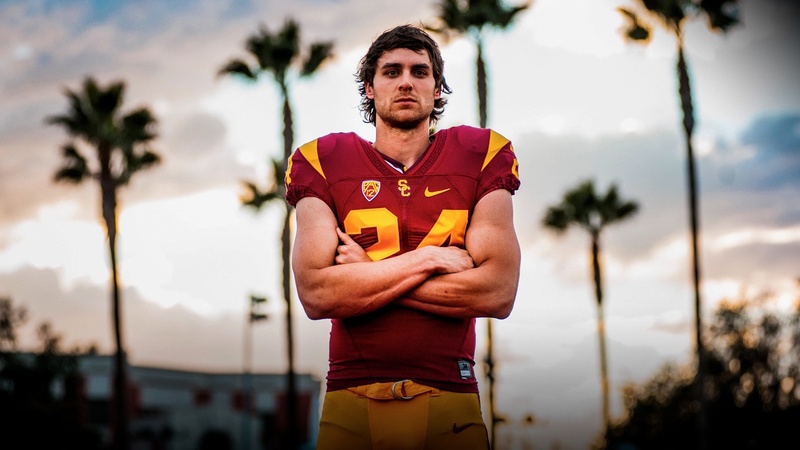 In Baxter’s first tenure, long snapper Peter McBride was usurped by walk-on Zack Smith (who, in fairness, was one of the country’s higher-ranked long snappers out of high school but walked on at USC because he the financial means and the desire to go to school there). Two years ago, it happened twice: Chase McGrath beat out Michael Brown, and Reid Budrovich took Chris Tilbey’s spot. This year, the Trojans have four scholarshipped special teamers. Last year, it was five – the same number as next year, when kicker Parker Lewis joins the team. That isn’t to say this has happened across the board. Damon Johnson has been stellar as a long snapper, as evidenced by the fact that the last time you probably heard his name was when he got injured as a freshman. And while it’s incredibly early, Ben Griffiths looks like he’s going fall into that category, too. The 27-year-old former pro Aussie Rules football player already has the award locked up for most interesting man on the roster, but he’s quickly flashing the potential to be the most proficient at his job, too. That goes for the pop in his leg but also the array of tricks and spins he can put on the ball. In short, he looks like what you would imagine someone to look after playing a sport in which punting was a key part of the job description and had done so at the highest level. Baxter is clearly sold. “To get a guy with that talent and that maturity that wants a college degree is special,” he told our Josh An. If he’s right, you can scratch “punter” off USC’s list of needs for the next four years.